One of the more useful features for iPhones that comes packed inside of Apple’s new iOS 10 release is voicemail transcription, which transcribes your voicemails into text so you can read them rather than listen to them. The feature is available to users in the United States and it’s very much still in its beta stages despite the fact that iOS 10 is now a public firmware, but if you want to know how to use it, or to see if you can use it yet, then you’ll be happy to know it’s quite easy to follow. As previously noted, your language needs to be set to US English for this feature to actually work on your iPhone. If you’re in the UK or Australia and use a localized English, this will not work. You can check what language you’re using by going to Settings > General > Language & Region > iPhone Language. Anything other than US English will not work at this time, although support for other localized English and foreign languages will most likely come in the future. Here you can see the text “Hey please give me a call back,” which is exactly what the voicemail audio message says. You might see random underlines in your voicemail transcriptions from time to time. These are basically words that Apple’s system was unable to process because it didn’t understand what was said. This might occur for some people’s names. If a lot of the text is underlined, you’ll see a “low confidence” label, which means iOS 10 thinks the transcription is probably inaccurate. Transcribing process only takes a few moments after a voicemail is left in your voicemail tray, so with regards to speed, it’s pretty convenient and can be used quickly in times of need. You’ll also see there are buttons for reporting your message transcriptions as “useful” or “not useful,” and you can use these to help Apple improve their transcription algorithms. You should mark “not useful” if the message is transcribed inaccurately and “useful” if the message is transcribed accurately. Because the feature is in beta, you can expect to see a few blips for the time being. The other person needs to be talking clearly for the transcription feature to accurately translate the audio into text, so if they mumble or talk too fast, there’s a good chance you’ll get a pretty odd transcription. 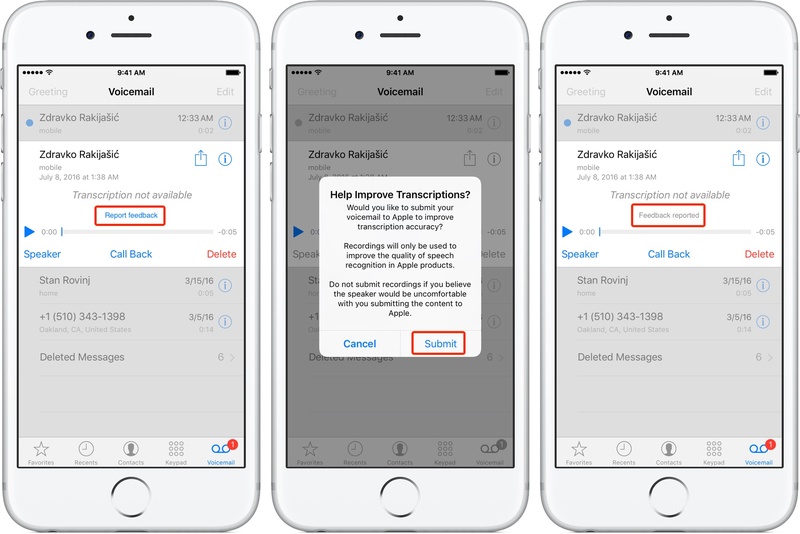 If a transcript was not available at all for a specific voicemail, you can send that voicemail to Apple to help them improve transcription accuracy. 1) Tap Phone → Voicemail, then select your voicemail message in the list. 2) With the voicemail selected, tap the link “Report feedback”. 3) To confirm the submission tap Submit, or Cancel to abort the operation. A “Feedback reported” message should replace the “Report feedback” link so you know the voicemail has been sent to Apple. 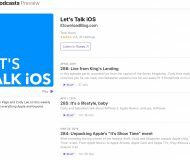 Apple clearly states that your submitted recordings will only be used to improve the quality of speech recognition in its products. “Do not submit recordings if you believe the speaker would be uncomfortable with you submitting the content to Apple,” cautions the prompt. 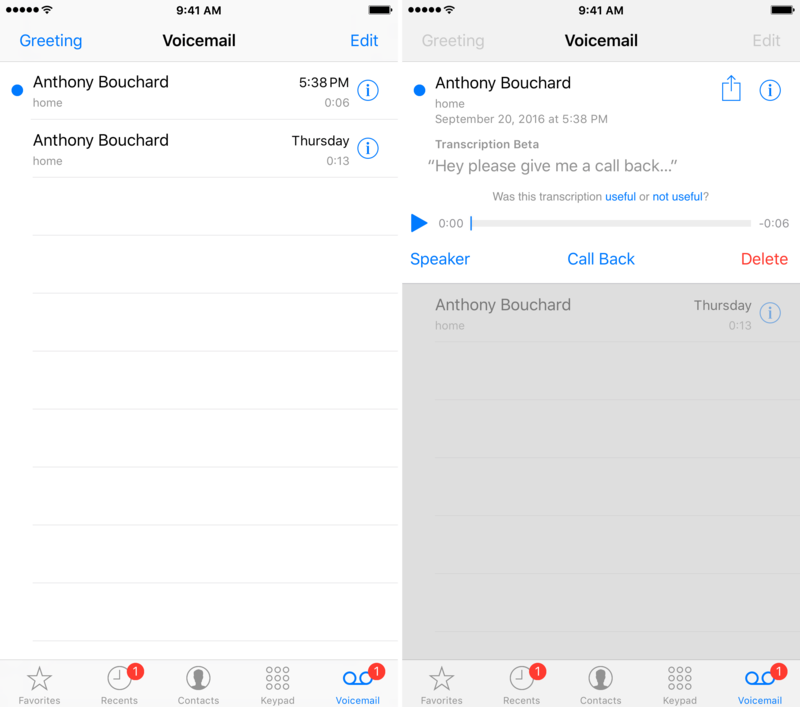 Your voicemail audio can also be shared thanks to the share button that appears at the top right of every voicemail. 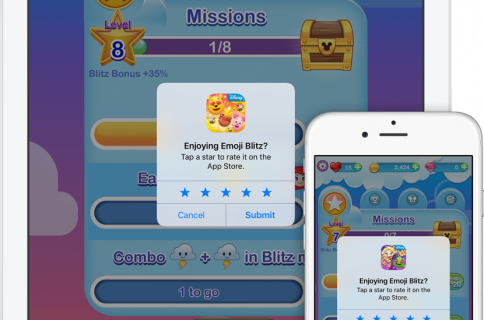 When you tap on it, you can send it via text, email, or through other means of sharing. Apple, of course, recommends you only do this after having someone’s permission to share their voice, for legal reasons. Make sure your device is compatible: Refer to the compatibility list at the top of this post. Voicemail transcription requires an iPhone 6s or newer running iOS 10 or newer to be used. If you have any older model of iPhone, voicemail transcription will not work for you. Wait 24 hours: Not all voice transcriptions will be immediate. Transcriptions can take up to 24 hours to complete. Although most will be pretty quick, if a server is having a hard time keeping up for any reason, you may just need to be patient. Try using Wi-Fi: If you’re on your cellular network, your device may be waiting to connect to a Wi-Fi network so that you don’t waste data. Try connecting to a Wi-Fi network and check your voicemail again for any new voicemail transcriptions. Leave yourself a voicemail: You can leave yourself a test voicemail to see if the feature is working for you or not. Make sure to speak slowly and clearly to improve your chances of having a successful transcription. 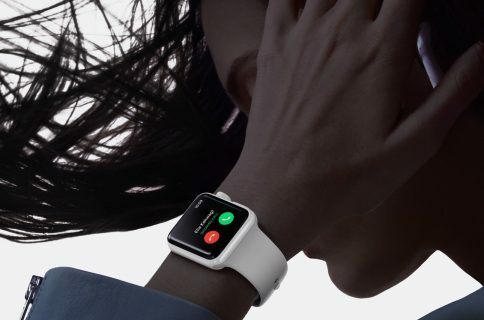 Use Dictation somewhere else: Another troubleshooting step Apple recommends is trying Dictation in another app. Doing so can spark your device’s voicemail transcriptions to work. 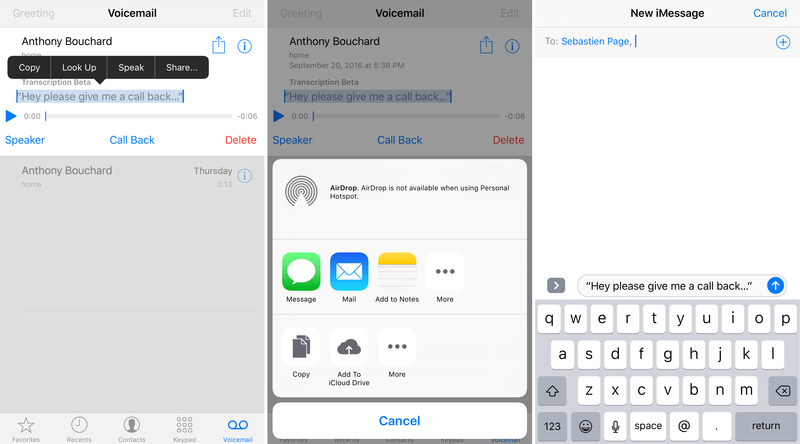 Switch to an app like Notes and use Dictation to save a note, then check your voicemail transcriptions once more. So as you can see, voicemail transcription is far from just a small feature, and if you take phone calls often, this is a feature you’re going to be able to use time and time again. 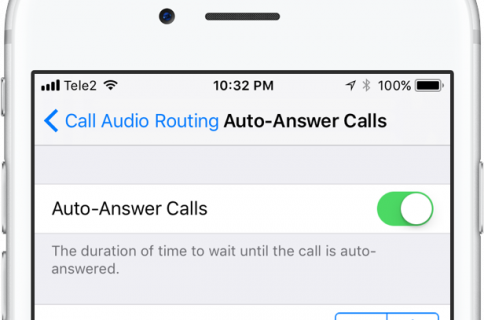 What’s new for Phone in iOS 10? 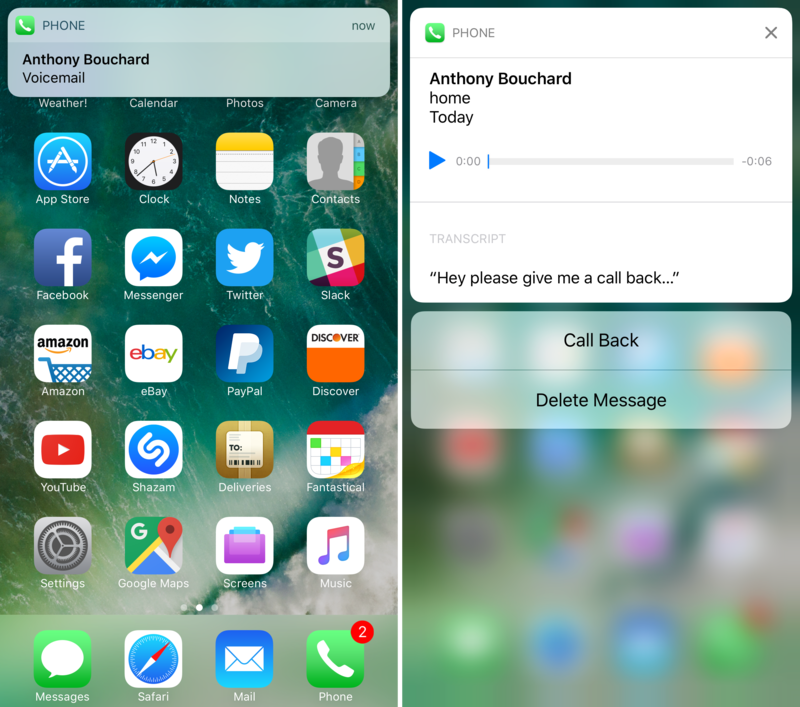 For a closer look at how voicemail transcriptions work in iOS 10, check out my colleague Andrew’s hands-on video (I’ve set it to start at mark 1:15 where he discusses the feature) or read our complete overview of other changes in iOS 10’s Phone app, including third-party call-blocking and spam reporting, deep integration with VoIP apps and more. 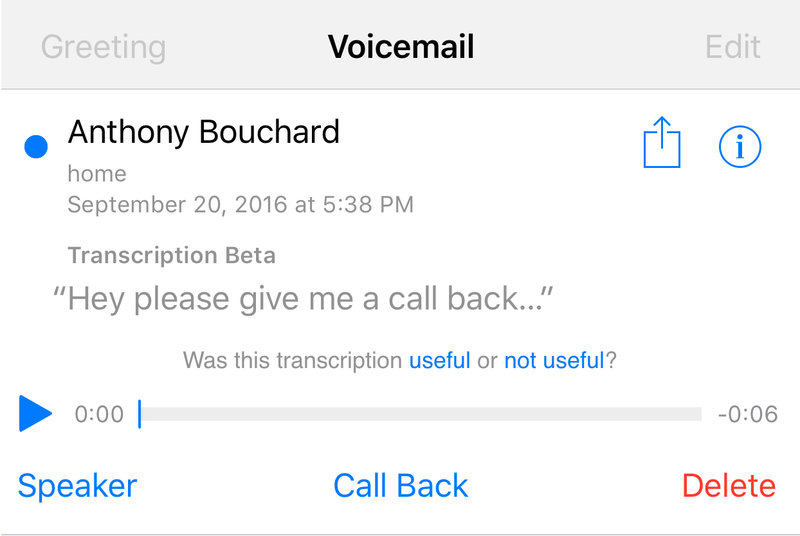 How are you liking the new voicemail transcription feature in iOS 10? Share in the comments!